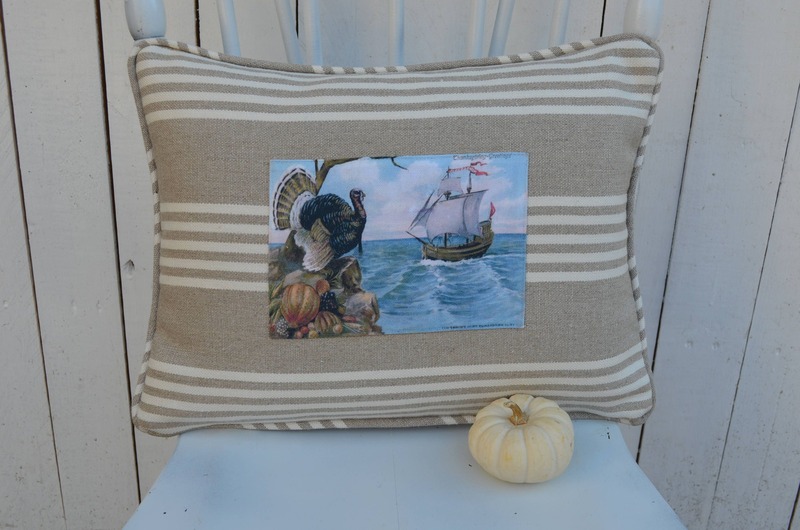 Mayflower Thanksgiving Pillow. I love this vintage image from one of our Thanksgiving postcards. 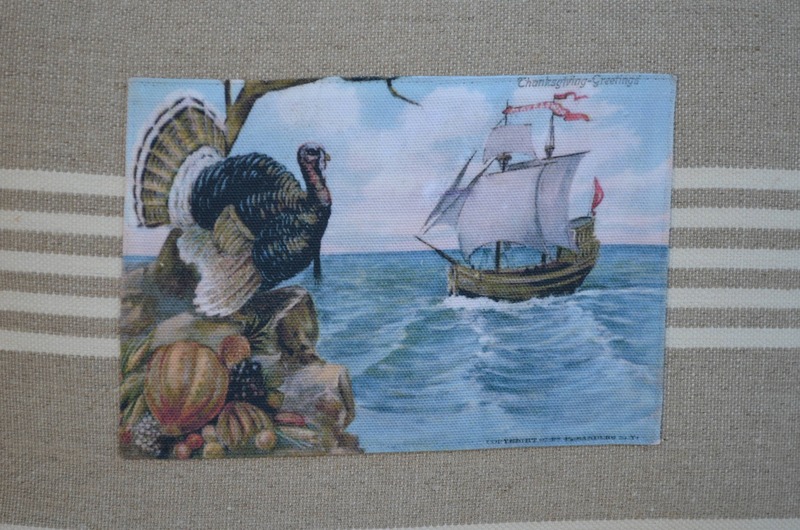 There's just something about the peaceful image of the turkey watching the Mayflower sail in that speaks to me! The 12 inch high by 16 inch long pillow is made from 100% Belgian linen and is available in 3 styles, small stripe as shown, small 2-tone and small pleated. 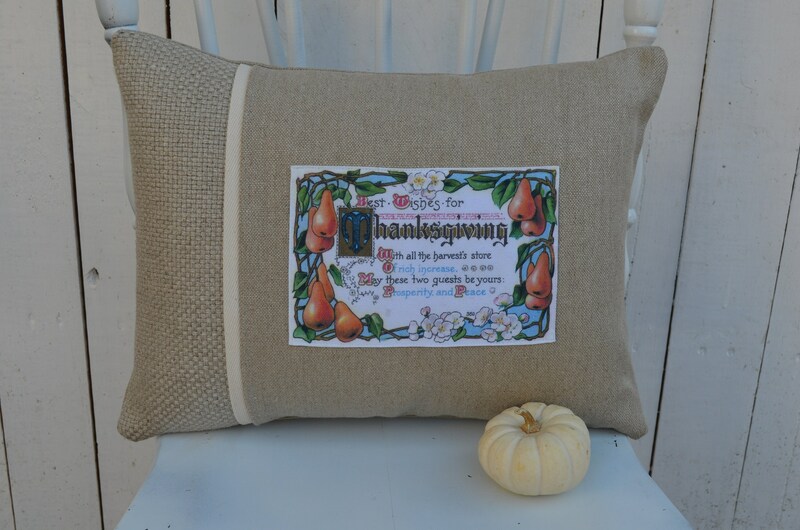 All pillows are closed at the bottom with a zipper and include a 95/5 feather and down insert. 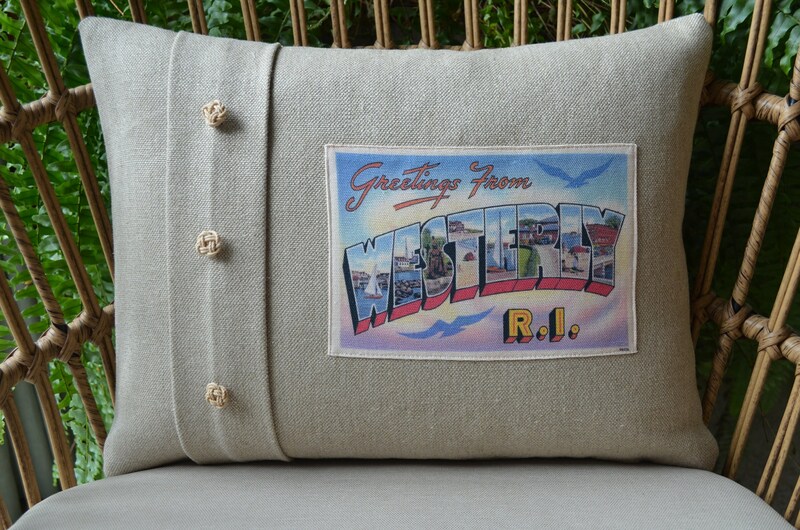 Each pillow is made to order, please allow 1-2 weeks for delivery.